When you think of bullies, you often think of children terrorizing other children. However, it is important to note that even parents can be bullies. Bullying parents exist, and they can cause real problems in children’s lives. Some parenting styles can lead to bullying. It is important to carefully consider your behavior with children, since it is possible that you are or could become a bullying parent. Parents often bully hier kids by the way in shich they speak to us. Ive heard numerous things out here, its bad. Things like “uyislima”, “izintanga zakho ziya sebenza wena uhlalele ukusebezelwa yimi” Such words sting hey, people have to hear this everday but because its from an adult/our parents we just have to pull ourselves towards ourselves and be strong. What is a bully you may often ask,? A bully is someone who is regularly overbearing. He or she looks to cause humiliation or discomfort to another, particularly if that other is weaker or smaller. This can be physical bullying, emotional bullying or mental discomfort and humiliation. It is important to understand that bullying goes beyond physical intimidation. Many people don’t realize that emotional and mental bullying can have just as many long lasting effects as physical bullying – even though the effects are of different kinds. 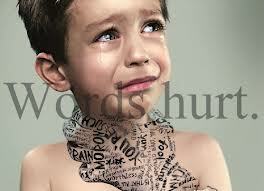 The effects from bullying parents are no less severe. It may seem strange to think that parents can be bullies, but they can be. Parents who are overbearing, constantly belittling their children or seeking to be controlling, and enforcing rules with a heavy hand, may actually be crossing the line into bullying parent behavior. Indeed, there is a difference between correcting a child’s inappropriate behavior and constantly trying to control every aspect of that child’s life. Many bullying parents understand that there is a line when it comes to physicality. Discipline can be a tough subject to tackle, but in general it is much easier to identify bullying behaviors that are physical as opposed to those that are emotional or mental. Emotional and mental bullying works by using methods of demeaning speech and other techniques that are meant to help the bully feel superior. When bullying parents use this style of parenting, they try and motivate their children by being derisive. This can be especially damaging, since it can encourage a child to think ill of him/herself. This can leave mental scars that can result in depression, as well as set the child up to have difficulty sustaining good relationships. Indeed, if a child learns how to treat people form the example of a bullying parent, he or she is likely to grow to be a bully as well, and may have a hard time developing healthy relationships.